Chondroitin is a popular natural remedy used in the treatment of arthritis. Is it safe? In Europe, where it is considered a drug, the consensus is yes. Chondroitin or chondroitin sulfate is a compound made out of sugar molecules and amino acids. It is really a glycosaminoglycan made out of alternating sugars. The two sugars found in every molecular chain of chondroitin are N-acetylgalactosamine and D-glucoronic acid. Therefore, chondroitin is basically a long-chain polysaccharide made of these two monosaccharides. 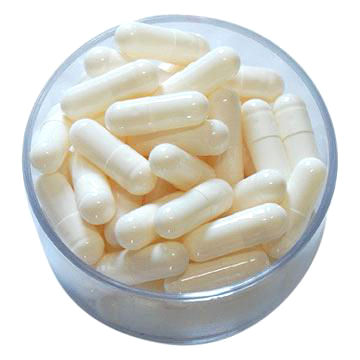 Chondroitin refers to a family of related natural compounds. The number of sugars in a chondroitin compound varies and each of them carries no, one or two sulfate groups. Chondroitin is one of the compounds used in forming cartilage in humans. It contributes to the cushioning effect of the tough elastic tissue and is responsible for most of the resistance to pressure provided by the cartilage of the joints. When naturally produced chondroitin is depleted, chondroitin sulfate is often given as a supplement to help restore the strength of the cartilage. Therefore, it is useful in the treatment of the different forms of arthritis. Another compound commonly used for treating these bone and joint diseases is glucosamine. While chondroitin is sold in the US as a dietary supplement, it qualifies as a drug in some other countries especially in Europe. The chondroitin sulfate sold as supplements and drugs are obtained from animal sources. The extracts of the cartilaginous tissues of cows and pigs are the most common sources. Other animals from which chondroitin is extracted are birds, fish and shark. However, since chondroitin is a family of glycosaminoglycans with varying chains, it is difficult to standardize. A survey of the chondroitin sold in the market found that their chondroitin contents vary widely from 40% to 400% of the labeled amounts. This is possible because where chondroitin is classified as a food supplement, it is manufactured according to the Good Manufacturing Practices (GMP) for food supplements and not according to the stricter GMP for pharmaceuticals. Even then chondroitin is considered very safe. With only mild side effects reported and its long-term safety shown, chondroitin is rated in Europe as one of the safest drugs for osteoarthritis. A committee of the European League Against Rheumatism (EULAR) tasked with investigating the toxicity of chondroitin recently assigned it a score of 6 on a toxicity scale of 0 – 100 where 0 refers to no toxicity. This means that chondroitin is very safe even in large doses and in long-term treatment of osteoarthritis. This is a remarkable result given the multiple mechanisms of action ascribed to chondroitin. However, chondroitin has an even more remarkable property: it is not metabolized by cytochrome P450. Cytochrome P450 is a big family of enzymes found in animals, plants and microorganisms. In human, this superfamily of enzymes is responsible for 75% of drug metabolism. Therefore, it is the root cause of drug-drug interactions. Cytochrome P450 can activate or deactivate a drug molecule by metabolizing it. Its activities can also be modified by drugs. Therefore, while a drug reduces the activity of a cytochrome P450 enzyme, this may reduce the breakdown of another drug dependent on that enzyme. The serum level of the second drug will then rise above therapeutic values to produce toxic reactions. Since chondroitin is unaffected by cytochrome P450 enzymes, it is largely free of drug-drug interactions. Therefore, unless chondroitin is directly abused, it cannot produce toxic reactions. In addition, it does not affect the effectiveness of other drugs. This second effect is the reason chondroitin is considered the safest osteoarthritis drug for patients treated for other diseases such as diabetes and hypertension. In fact, no other osteoarthritis drug is considered a safe and better alternative to chondroitin. However, there is an exception to this ability of chondroitin to be free of drug-drug interactions. This exception is the concurrent use of both blood thinners and chondroitin. Chondroitin is structurally similar to anticoagulants such as warfarin and heparin. Therefore, it may increase their ability to block blood clotting. This effect is observed especially when chondroitin is combined with glucosamine. In theory, it may worsen bleeding and bruising. Therefore, chondroitin should not be recommended for people who are placed on blood thinners. A similar effect is possible with non-steroidal anti-inflammatory drugs or NSAIDs such as ibuprofen. Because chondroitin also reduces pain due to osteoarthritis, patients receiving NSAIDs should be given lower dose of those painkillers. This is beneficial because concurrent administration of both drugs means that NSAIDs will produce lesser side effects given that their doses are lower. In both cases of drug interaction, chondroitin does not actually modify the effect of the second drug. All it does is produce a similar effect. For anticoagulants, that effect is unwanted but for NSAIDs, it is welcome. Chondroitin produces no serious side effects and far fewer side effects than regular osteoarthritis drugs. The most commonly reported side effects of chondroitin relate to gastrointestinal upset include stomach pain, nausea, gas, diarrhea and constipation. 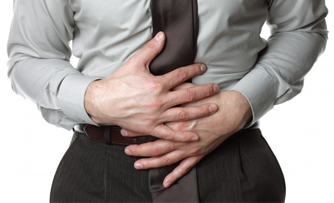 These gastrointestinal side effects are mostly observed at high doses of chondroitin, usually at and above 10 g per day. Other side effects are rarely reported and some are even theoretical. These other side effects include skin reactions such as rash, hives and photosensitivity; headaches, hair loss, pedal edema, puffy eyes, high blood pressure, chest pain, bone marrow depression and increased risk of bleeding. These are uncommon side effects and will require that you consult your doctor if they present. Because some chondroitin products in the market contain excess manganese, it is possible to develop manganese toxicity from these products. Therefore, you should avoid chondroitin products with added manganese. Given that the safety profile of chondroitin during pregnancy and lactation is not well studied, it is best for pregnant and breastfeeding mothers to avoid it. An early study indicates a possible link between prostate cancer and chondroitin. However, this is not taken as a definitive proof especially given that no such case has been reported in the years since chondroitin sulfate supplements have been used for treating osteoarthritis. Still, it is best that prostate cancer patients and those with genetic predisposition for developing the disease avoid chondroitin until further studies clarify the link. Since chondroitin is a sugar-protein compound of animal origins, it is possible that it triggers an immune response in the form of an allergic reaction. This allergic reaction is most likely due to the animal proteins present as contaminants in chondroitin. 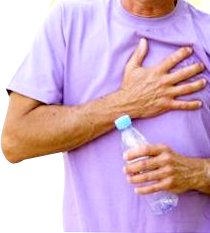 The allergic reaction to chondroitin is most likely to occur in people with asthma. Chondroitin may worsen a well-controlled case of asthma. Therefore, it should be used with caution by asthmatics and only under the supervision of a doctor. Symptoms of allergic reactions to chondroitin include hives, difficulty breathing, chest tightness, blockage of the throat, and swollen face, lips and tongue. These symptoms require immediate treatment and should be treated as medical emergencies. In 2008, the first case of oversulfated chondroitin sulfate was reported by the FDA. This new compound was found as a contaminant in heparin imported from China. Oversulfated chondroitin sulfate is chemically different from chondroitin sulfate and it has a different set of biological activities too. For example, each sugar unit of this contaminant molecule carries 3 or 4 sulfate groups. A quick examination also found out that oversulfated chondroitin sulfate is a product of laboratory synthesis rather than a compound of biological origin. Oversulfated chondroitin sulfate produces some serious side effects including hypotension. These side effects are not observed with chondroitin sulfate. Currently, oversulfated chondroitin sulfate has only been discovered in contaminated heparin. However, since it is a product of deliberate synthesis, it is possible that some dubious foreign dietary supplement manufacturers may sell it or a similar metabolite as chondroitin sulfate. Given its remarkably different biological activities, oversulfated chondroitin sulfate does not serve as a substitute for chondroitin sulfate nor is it safe. Therefore, you should make sure to get chondroitin sulfate from a good brand.